Sometimes something as simple as a pair of cowboy boots and a story can change lives. The stories that make up our lives are the building blocks, that when put together, explain, in large part, who we are because they illustrate the paths we’ve walked and the decisions we’ve made or not made. When these stories are shared we open the doors to understanding one another, and that changes everything. Stay tuned for a discussion on understanding one another better through the sharing and listening to stories, and for a story about a girl in turquoise cowboy boots. 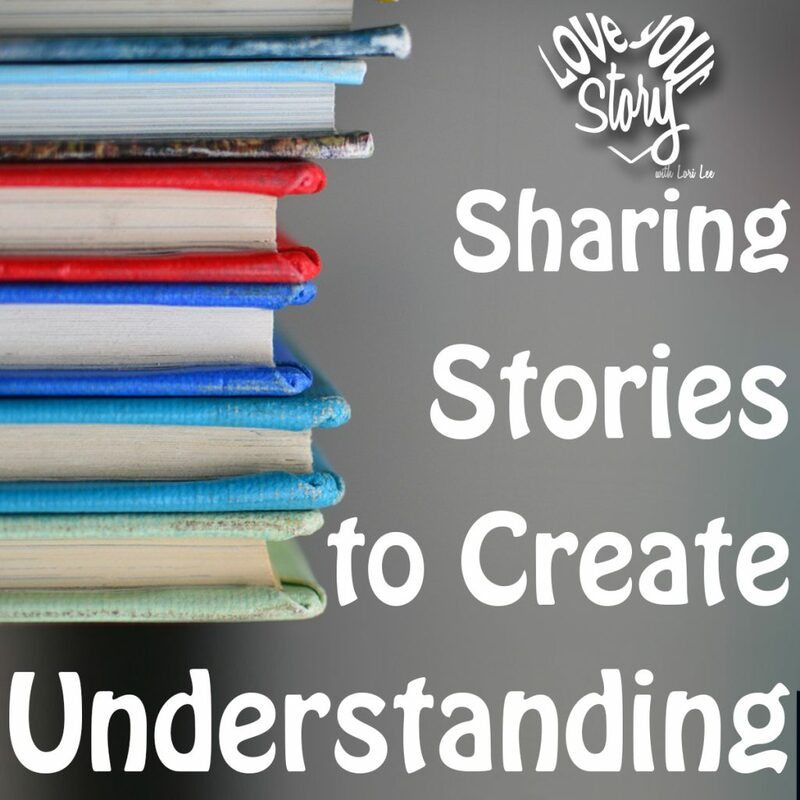 One of the many functions of story is that of sharing ourselves and our experiences with another. Once someone knows our stories they know many things about us. They know the triumphs and struggles we have faced. They know our responses to those events and people involved in those events. They know our attitudes and often we display our character by showing our choices during the unfolding of our stories and the lessons we learned within those experiences. Does this create vulnerability? Almost certainly, if told well. Does it create understanding? Without a doubt. Does that understanding change the way we interact with one another? Often, especially when understanding is expanded. Let me share an example. This example was shared by Amy S. Choi on September 30, 2015 in a Ted-Ed Blog called, How Telling Stories Can Transform a Classroom. The blog illustrates how the work StoryCorps is doing in collecting and sharing stories makes a difference, in this case, in a Jr. High classroom. More about StoryCorps in a minute, if you aren’t familiar with them. Caitlyn, a quiet seventh grader, was bullied by the other kids in her class at Luther Burbank Middle School in Burbank, California. She wore the same cowboy boots every day and the other kids were awful about it. Ms. Mieliwocki, the English teacher introduced StoryCorps to her students. She gave them tape recorders and asked them to interview someone important in their lives. Over the next few months, the class listened to each student’s interview and discussed them together. Caitlyn, the gal who always wore the cowboy boots, had interviewed her mother. The two of them talked about their lives since Caitlyn’s father died of melanoma two years prior when Caitlyn was in the fifth grade. Before her dad passed away, he had wanted to get her something that would last forever — together, they picked out a pair of brown and turquoise cowboy boots. A year later, Caitlyn was diagnosed with melanoma herself. She had to have part of her foot removed. The boots her father bought were the only shoes that provided enough support for her to walk. None of the kids in her class, or even her teacher had known any of this, They felt small and ashamed for having been so cruel, and with this greater understanding, the teasing stopped. Not just for Caitlyn, but for everyone. And that changed everything. It changed what the children knew about one another thus how they related to one another, and thus how they acted and treated one another. That’s a pretty big deal. So, StoryCorps is an American non-profit organization whose mission is to record, preserve, and share the stories of Americans from all backgrounds and beliefs. It is located in Brooklyn in New York City and was started in 2003. Their purpose is to remind us of our shared humanity, to strengthen and build the connections between people, to teach the value of listening, and to weave into the fabric of our culture the understanding that everyone’s story matters. If you go to their website, StoryCorps.org and hit the story tab, you can listen to story after story, only about 4-5 minutes long, from people of all walks of life as they share a meaningful life experience. I just got done listening to an interview with the mother and father of one of the victims of the Sandy Hook Elementary school shooting in Connecticut in 2012 discussing their story and the death of their daughter. Listening to the real heartfelt stories of others brings to life experiences beyond our own. Listening to their story suddenly makes that event more real to me, my empathy is increased, a connection to something that WAS remote has been created simply because I listened to another’s story. As shown here, in the story of the cowboy boots, StoryCorps mission provided the key to a wonderful learning experience that changed all those in that classroom through the sharing of stories. I’ll include a link to their website in the show notes. We all have different life journeys. Often it’s hard to understand another’s journey, especially if ours is very different, but the only way we can get closer to understanding one another is to listen to one another’s stories. To share and to listen, and in that listening try to understand and sit with a space of allowing without judgment. While literally being able to look through one another’s eyes is not a possibility, the closest we come is to share our stories, our perspectives. This sharing creates a space for connection. Let me share a couple places this stands out to me…and these are just a few of many. First, when men are going through a struggle and they try to tough it out and keep it to themselves they often cause a space of disconnect because those around who would help, often their women, just feel confused and disconnected because they don’t know what the issue is. When and if the man decides to share what is going on with him there is often compassion, nurturing, and all the things that women do best. Women’s hearts are softened when they understand a back-story, feelings, or sense a need. But it requires the sharing of their story and what they the other person is struggling with. This can be turned around also, when women don’t share what is wrong because they assume the man should already know, when in fact, he does not. Am I just talking about communicating with one another, no, it goes beyond that, there is a difference in me telling you I am concerned or upset about something and communicating the idea, and me sharing the background story that illustrates why I am concerned about it. It’s the background story that allows for understanding of why a person takes the approach they take or feels as they do. These may be simple or complex. For example: Let’s say I feel strongly that it’s the man’s duty to lock the doors at night and make sure the house is safe. My husband (which I don’t have – this is a made-up example) may not have that as a habit or he is busy with his own stuff and thus it doesn’t get done or I have to do it. I can say, “Hey, I’d really like you to lock the house up at night,” and he might feel like something else is getting pawned off on him, but if I share the story about how my dad always closed the house up at night, going from door to door, window to window, and it created a space of feeling protected, there is increased understanding of why I have the perspective I have. When there is understanding good people naturally orchestrate their lives with one another more smoothly. I was talking with my friend about how this works in his marriage. He said “this happens all the time, but the way it plays out is that she thinks she shouldn’t have to explain why she is asking me to do something so it looks like “ask. feel irritated. get a further explanation and share the reasonings. smooth out and find a solution.” What if when you made an ask you took the time to explain the story around your ask and the conversation could open without the irritation phase and progress into solution finding? Another example, in my Story Launchpad workshop – a workshop I do for business professionals to help them find and strategize how to use their stories — one of the types of stories that we work on is the Origin Story. In one workshop I was working with a mortgage lender. As she did her work she discovered that her story originated with a poor lending experience that she and her husband had had when they bought their home 20 or so years ago. At the time she was NOT in the lending industry and as they went through the process of purchasing their home they were told they were approved, and then they were told they weren’t approved, back and forth and the stress was terrible because this was at a time when you could put sweat equity into your home before you closed on it, so they had made investments of time and money in the home. No one discussed with them the costs of closing the loan so they had to dig up the money the day of closing. She didn’t understand why it had to be so difficult and she hated that they always felt like they were on the verge of losing the deal. She went into lending so that she could help others have a better lending experience; so she could keep the discomfort she felt out of the equation for those she worked with. When she shares this story with her clients and potential clients they begin to understand who they are working with and why they can trust her. She’s not just a fly-by-night lender hoping to make a buck, she’s a dedicated professional with a purpose beyond herself, with experience in what NOT to do and a desire to give her clients a smooth and stress-free experience. Sharing this story allows her to become something more in the eyes of those she works with; it builds trust because they understand her better. The other day a listener contacted me and said, I love the spaces where you get vulnerable. I love knowing that you’ve been divorced three times and that is has caused you embarrassment – it makes you real to me. I recorded, as a guest, on the Shameless Mom Academy podcast yesterday, and as Sara Dean and I spoke she shared a bit of her story about her infertility and her work in reframing her story to include only having one child, but being able to help more moms enjoy and excel at motherhood through her podcast and her personal work that she said she would not have had time to do if she had had more than one child. Understanding her story helped me have a greater appreciation for what she is doing and why. And really, that makes all the difference. Are we listening to people’s authentic stories? Are we building bridges with our stories? Today’s episode is about finding our commonality through the sharing of our stories, because that commonality it is stronger than our separateness. The global nature of our world, the way we can access, trade, see and interact with people from different cultures across the world means that it has never been more important to seek to understand through sharing and listening to one another’s stories – without judgment, and instead with a spirit of attempted understanding. We are exposed to more people with different ideas. It’s a wonderful treasure trove of possibility for expanding our understanding. Even within our own country, here in the US, the deep political divisions are strong and while sharing our stories of why we each feel as we do may not change another’s mind, it will increase understanding as to where others come from and why they have the perspectives they have. Seeking to share stories and increase understanding is a step toward love in all relationships: from the most personal spouse and family relationships and sharing stories that help them to understand us and our quirks; to our neighbors with different ideas; to others we’ve never met and don’t yet understand in different countries, religions, and cultures. Who in your life, where perhaps there is misunderstanding or discord, can you share a story with today that will help increase their understanding of who you are and where you are coming from? Where can you build a bridge by sharing a story, or maybe asking for another to share their story? I can picture Caitlyn and her turquoise and brown cowboy boots and all the other children in their classroom sitting each day and listening to the story interviews that captured the inside lives of their schoolmates that none had previously been privy to. I can imagine through that one exercise the number of changed relationships, the empathy, and the insights those Jr. High students gained by listening and sharing and suddenly understanding something they didn’t before. That people have stories and reasons for the way they do things. That everyone’s story matters and that by sharing we open the doors to understanding. Thanks for being here today. I hope the discussion sparked an idea for a space where you can share a story that will create connection for you. If you’ve got some comments or stories you’d like to share, head to www.loveyourstorypodcast.com and hit up the comment box under this episode. Also, don’t forget to sign up for the free audio/ebook: The Key to Your Super Self – How your Stories Unlock your Super Power. My gift to you – just head to the website to grab it. A pop-up box will pop-up when you visit the site and you can sign up for it. And, of course, if you haven’t hopped on the the 21-Day Challenge bandwagon – head to the website and sign up for a fun, productive and guided way to create more love, peace, and possibility in your story. These challenges are things like do a RAK or get rid of something in your space that you no longer need, or give someone the benefit of the doubt today. They are simple but profound things that help you create your best life story. See you next week for another great conversation on creating our life stories.